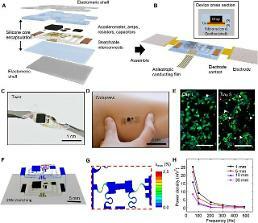 SEOUL -- MEMO Watch, a wearable medical device designed to monitor and proactively manage a chronic cardiac disease, became the first to win temporary state approval under a government campaign to ease or suspend regulations for the development of information and communications technology. HUINNO, a medical wearable startup in South Korea, said Monday that MEMO Watch and its associated AI-based analytics cloud platform have been certified by the Ministry of Food and Drug Safety. The watch, which can continuously and accurately monitor important cardiac vital signs, was the first to win state approval under the Science and ICT Ministry's so-called regulatory sandbox which exempts regulations on new products or services for a certain period of time to nurture new businesses and develop innovative ideas. 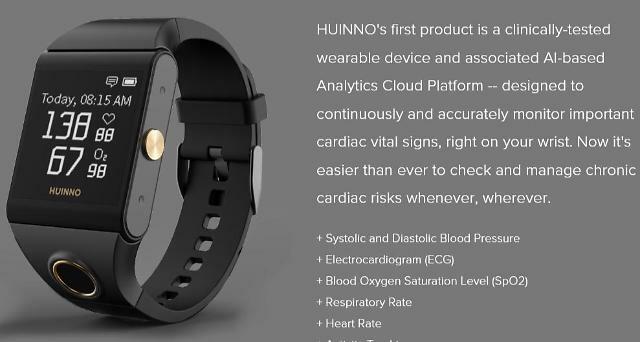 HUINNO said its MEMO app displays vital signs such as blood pressure and, electrocardiogram (ECG) measured by a connected watch and stores data in the remote database. Users can receive medical counseling about their conditions.